The trend is still alive! Fidget spinners had their fifteen minutes of fame, but despite being thrown out of the limelight, they’re still fantastic little gadgets that actually have a few surprising benefits that you may not be aware of. They’re not just toys for kids, they’re the perfect cure to alleviate boredom, and keep your hands busy when you’re out on the road. Here are the best fidget spinners from the four corners of the internet, and why they’re awesome. Crafted of 100% metal-alloy blends, this simple spinner is easy to flick, spin, or perform tricks on. Steel ball bearings give you seamless motion without jamming up, while the black and red design will be eye-catching while in motion. This model from Trianium Brand is compact enough to fit in the back pocket of your jeans and extremely fun to use. Designed for adults and children. If you’re OCD about specific design, you’re going to fall in love with this spinner. Crafted from smooth, black carbon, this Infinity Carbon i7 spinner contours to any style, while remaining ergonomic and compact enough to slip into the pocket of your coat or jeans. You get up to five minutes of consistent spinning from a single go, plus silent operation if your child wants to use it in the classroom (they’ve been banned in most schools). Do you want a desk piece with function? This fidget spinner features silent operation, 3-5 minute spin durations, plus a 100% “Happiness Guarantee” by the manufacturer. 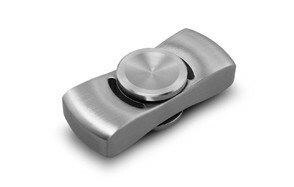 “The Chunk” spinner comes in brushed stainless steel finish, and is beautifully compact, or classified as a micro spinner. 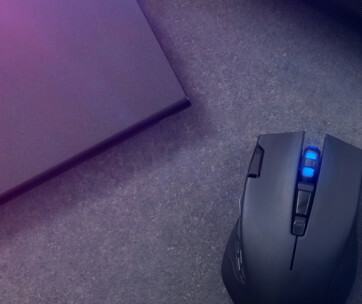 We love Stealth’s products and the small business feel, and the foam-padded case this model comes in. NUBARKO looks like it walked right out of a Marvel movie. Ceramic stainless steel hybrid qualities make up a fantastic weight and power, while the mellow grooves give you a unique design when you finally spin this into action. This style is fit for adults and children alike. Users absolutely love the entrancing design that captivates their imagination while spinning, reporting that this is the best stress-reducing spinner they’ve ever used. Desk piece, conversation piece, and epic fun all in one package – this four-pronged spinner goes against the grain. An all-metal body with boosted bearings for optimal spinning capabilities melt away your stress and look fantastic. This Original Dragon spinner has some weight to it, and fits inside of its customs case for shelf display when not in use. The compact size makes this a perfect to spin for hours. If you’re all about the function and less about the flair, this model comes with sleek black metal on two prongs, allowing you to reap the rewards of stress reduction and focus enhancement, all without the flashy design. 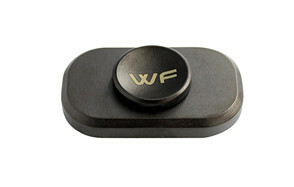 WeFidget’s Original Mini is perfect for concealment due to its small size, solid black appearance, and quiet operation. Easy access allows you to twist off the WF branded finger holster button, and replace the ultra smooth bearings as time goes on. Available in multiple other colors. If you’re going to spin, do it in style. All-metal and high-speed bearings spin your three metal prongs, while promising four to six minutes of continuous operation. You get a 100% satisfaction guarantee, along with a brushed-looking silver case to keep it in when not in use. 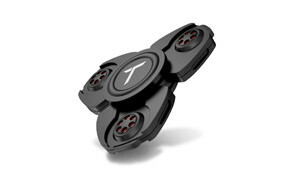 Quiet operation, complimented by sleek and stylish design and a quality build weight, make “The Hornet” the ultimate fidget spinner for adults. There aren’t a whole lot to the physical build of fidget spinners, but there are some benefits and tips on how to use them that you may not be aware of (take it from a guy who has two in his desk at all times). Let’s get into it. Q: What is a Fidget Spinner? A: These devices spin to perform tricks, entertain, and even start conversation. Fidget spinners were marketed as toys for kids, but they’re so much more than that. Essentially, you have three soft points that operate on ball bearings to spin, giving your hands something to do while you’re between tasks, or just plain bored. They have psychological benefits, which we’ll get into in just a second. Greater Focus: Fidget spinners give you something to focus on, which can actually increase your concentration. 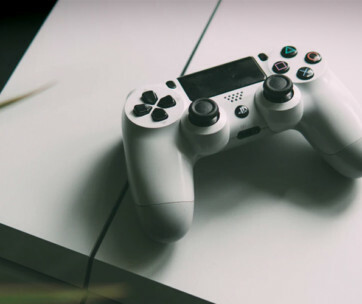 What quickly began as a marketing tactic on children and their toys evolved into a little device to help you focus, and it’s been proven to work. In some instances, it’s able to increase your creativity. Focus and creativity rely on each other. Anxiety Relief: One issue with anxiety is the constant dread. There’s constant panic, there’s constant worry, but then, you get one more constant thing in your life - a fidget spinner. Focusing on the movement and colors (some models come with lights embedded in the spokes) allows your mind to rest, relax, and focus on one constant item that doesn’t come with negative attributes. ADHD: Attention deficit hyperactive disorder affects hundreds of thousands of school-aged children, but that’s where the conversation usually stops. Nobody talks about the fact that adults also suffer from ADHD, and that they require solutions as well, besides medication. Utilizing a fidget spinner when you notice your attention drifting can lead to better concentration, work performance, and can be used as a coping mechanism. Autism Coping Mechanism: When your children or relatives are suffering from autism, there are number difficulties they face on a normal day, things that we know nothing about. Focus and consistency are able to help them calm down in difficult situations, and focus their energy on something exciting. Decorative: There are some really cool fidget spinners that make excellent decorations, such as this bonus spinner that wasn’t on our list, among others. Many of them showcase your favorite designs from television, movies, and iconic book series, and make excellent miniature decorations for your desk, that you can actually use when you’re feeling bored. Light Up: Some spinners come with LED lights throughout (and some of them are programmable through micro USB connection to make your own designs). These are the spinners people usually use to start a conversation or draw attention, and while they provide function, they’re mainly meant to be flashy. Pure Function: These are simple, basic, and that usually reflects in the cost of these models. They don’t come with licensing for popular brands, so you can get them for relatively cheap. These spin, are comfortable, and it ends there. There are a couple of tricks you can master with a little bit of time, and a whole lot of effort. These make fidget spinners a lot more fun, and give you or your children the opportunity to challenge one another, and show off some exceptional dexterity. Hand Transfer Trick - This one looks like you’re a real master of fidget spinning. You spin as normal, and keep your eyes on the spinner. All you’re going to do is focus on the ball of your thumb (which should be on the bottom of the spinner) and gently toss the spinner from one hand to the other. By focusing on your thumbs, you’re able to create a beginning and ending point, which really sums up the entire trick without making a spectacle of it. Over time, increase the distance between your hands, and, for an added trick, lower the receiving hand to create a multi-directional throw. FInger Transfer Trick - Similar to the hand transfer trick, except you’re not going from hand to hand. Follow the golden rule of fidget spinning - focus on the starting point, and the ending point. Separate your fingers after you begin spinning, and gently toss the spinner into the air, (about 3-4 inches above your hand), and have it land on your neighboring fingertip. If you get good at this method, you can do it rapidly. Pro Toss - This one is a lot of fun, because it requires greater motion. Spin, and turn your spinner vertical - this trick has to be done quickly before momentum dies down. While it’s spinning and between your fingers vertically, raise your hand up as high as you can, and drop it - quickly bend your knees and squat down, using your other hand to capture it without ruining the spin. 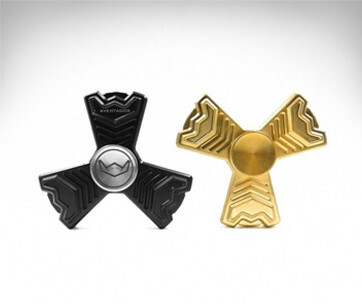 Have you spotted some ultra awesome spinners you want us to review, or that you’ve personally bought? Let us know on Twitter, and be certain to sign up for our email newsletter to get updates on the best gadgets, exclusively on Gear Hungry.